Hello, G-Fans and kaiju lovers! Are you a longtime listener who wants a refresher on what Brian and I will be discussing at our G-Fest XXV panel? Or are you visiting our website for the first time after attending our panel? (If so, welcome to our little corner of Monster Island!) This blog is for all of you! 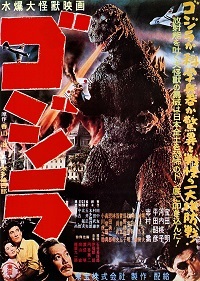 Our panel, “Godzilla and the Japanese National Spirit,” will be in the Kennedy Room at the Grand Plaza Hotel Friday, July 13, at 3pm (CST). The Japanese national spirit is a hallmark topic of our show and one of the things that separates us from other kaiju podcasts. The panel will distill much of what we’ve discussed in several episodes into a 40-minute presentation. However, if you’d like to get more details on the subjects we cover, here are the episodes we recommend you binge-listen during your trip to and/or from G-Fest this year. A journey of 37 weekly episodes begins with one small step. In our first episode, we introduce ourselves and explain our philosophy for the podcast as we move ahead. The basic groundwork is laid here. There’s a lot to cover in the first film, so we had to split it into two episodes. In this one, we discuss the original masterpiece, focusing on the political and historical references and cultural significance. For the related topic, we explain the basics of the U.S. Occupation of Japan and how it changed the nation. Appropriately, we discuss the negative aspects of the Occupation—such as the War Crimes Tribunal—and how it affected U.S.-Japan relations in our episode on the Americanized version of the original film. These aren’t easy things to talk about, but they are important to know to understand the context in which Godzilla was created. Not only is this one of Brian’s favorite G-films, it’s arguably one of the most underestimated entries in the franchise. While created at a time when the Godzilla series was in decline, it’s full of hidden meaning. 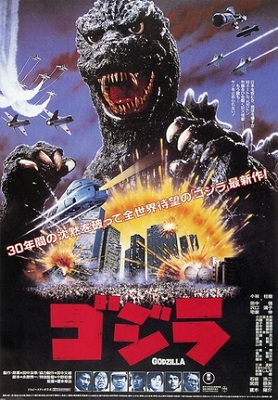 Beneath the surface careful viewers will see screenwriter Shinichi Sekizawa’s meta-commentary on Godzilla as a pop culture icon and, more importantly, a satirical examination of globalization as it related to early 1970s Japan. For this modern classic, we show how Japan found itself in a much different place than in the mid-1950s. 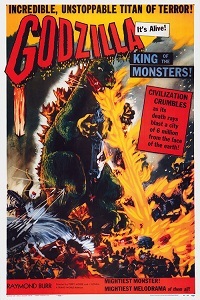 This film is entrenched in the Cold War era, depicting a Japan caught between U.S. and Soviet Union as they pressure Japan to allow one of them to nuke Godzilla. Now they must choose between their greatest ally and an immediate threat to the north. We can’t say this enough: This is our greatest episode. There’s so much to discuss in this film—especially the misperceptions the American Godzilla fandom has about it. And we still probably didn’t catch everything! The 3-11 Disasters. The JSDF. Japan’s place in the modern world. 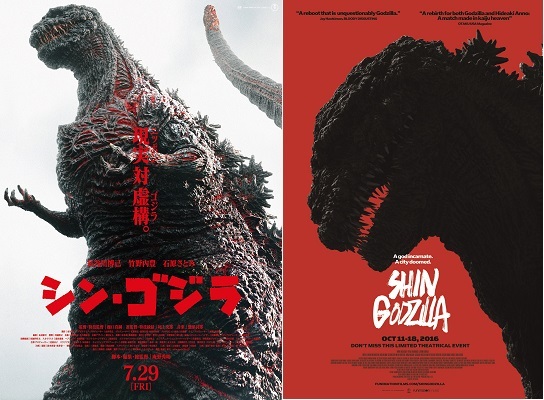 Americans are separated by time and culture with the previous films and saw them with the benefit of hindsight, but Shin Godzilla came to us quickly and unfiltered. We hope this episode changes how American fans view this film. This is a great sampler of our podcast. We hope you’ll listen to all of our episodes and continue to listen when season two starts in September. 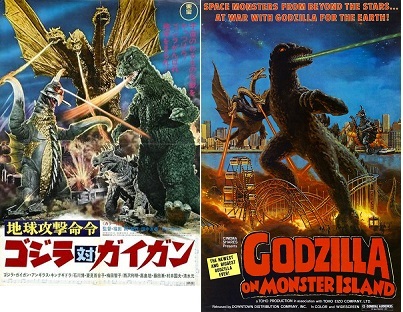 We’ll be covering classic Toho tokusatsu and new Godzilla films as they’re released. Or if you’re reading/listening after the con, thanks for coming! If you like what we’re doing, please consider supporting us on Patreon. We have some great rewards/benefits! This entry was posted in Blog and tagged Brian Scherschel, G-Fest, G-Fest XXV, Godzilla, Godzilla and the Japanese National Spirit, Godzilla vs. Gigan, Gojira, Kaijuvision, Kaijuvision Radio, Nathan Marchand, Shin Godzilla, The Return of Godzilla by Kaijuvision Radio. Bookmark the permalink.